The features, that are optimized throughout natural successions, provide several characteristics of emergent properties: They are only observable at the ecosystem level (which is the typical and the lowest logical level to describe, e.g., cycling phenomena), and they are based on self-organized processes. They can not be explained on the basis of knowledge of the parts alone, and the emergence-creating processual linkages between the sub systems are non-linear processes. From the hierarchy-based viewpoint also the additive features (e.g. size, biomass, life spans) can be categorized as emergent properties because their extensions are dependent on the scale of observation and because they also are based on internal system interrelations. 1. Individual level: individual nutrition budgets - foraging strategies. 2. Population level: species nutrition efficiencies - intras-pecific food competition. 3. 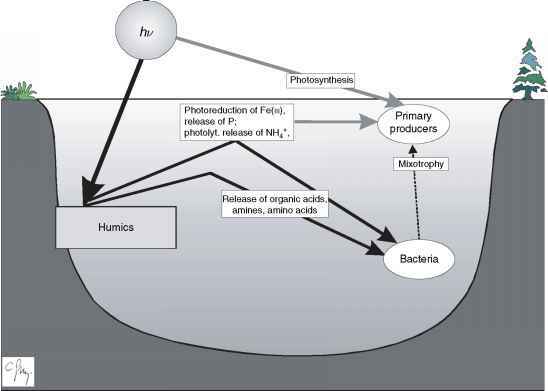 Ecosystem level: nutrient cycling - food webs. 4. Landscape level: lateral nutrient transfers - food webs including large scale predators. On the other hand, the ability of biological systems to arrange themselves in a special manner, for example, in a hierarchical way, is in itself a property which emerges as a consequence of the properties of its constituents, but the organization and the function for sure cannot always be foreseen. Thus, the capability of self-organization can be seen as an emergent property itself (Figure 1). 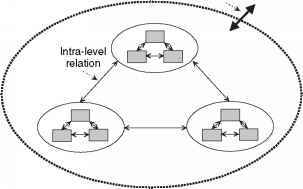 Figure 1 Biological entities are often organized in a hierarchical manner, whereby the emergent properties of a certain level are based on the interrelations between the lower levels, while both are constrained from the highest level linkages. bifurcation points with possibilities of further evolution to occur. Similarly broken symmetries, complementarity has been proposed as a global mechanism.